Birthdayy Partyy is made up of twin brothers Jon & Bryan. Coming from Chicago, these two came together out of their individual projects, Who Cares and Hi Five, both having played festivals across the Midwest, as well as numerous shows with top tier talent including Flux Pavilion, Joyryde, and Brohug. 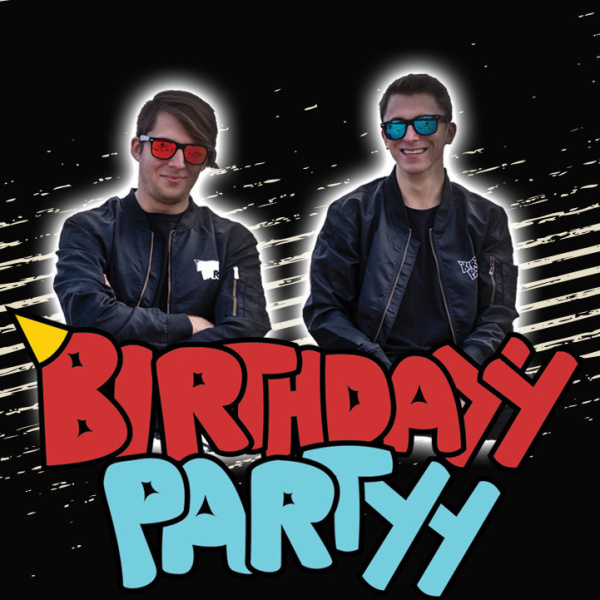 Since launching in January of 2018, Birthdayy Partyy has already captured the ears and bodies of listeners across the world and nabbed their first festival set at Spring Awakening. With multiple songs featured in Apple Music's Heavy Hitters playlist as well as receiving support from artists like The Chainsmokers, Blasterjaxx and Kayliox, Birthdayy Partyy is making all the right moves. With official remixes for Autograf and LUZCID already out, as well as loads of original material to come, 2019 is the year of the partyy! All March, we will be trying new DJs out for a residency at our upcoming events. Come give them a listen and let us know who you want to see come back. Each event will have a different arcade game set to Free Play. Score the top score of the night and receive the weekly prize! Buy a $10 presale ticket to skip the line AND receive a game card good for one hour of unlimited free arcade play. Offer valid every night, including headliner nights. Not only does our club have 8 VIP tables and professional bottle girls, but it also has 10+ bowling lanes and 100+ arcade games! Celebrate your special occasion in style by adding bowling and unlimited arcade play to your VIP table and bottle. Lucky Strike Bellevue is the premier destination for entertainment and nightlife featuring: 2 full bars, 2 dancefloors, 16 lanes, 4 private lane suite, arcade, full menu until close, 8 projectors, 12 TVs and a 20ft led wall. © 2019 Lucky Strike Bellevue. All rights reserved.